This editorial wasn't my idea. I was speaking with our mobile editor Brandon Russell this morning and he mentioned how exciting this fall and winter will be for technology. The summer was slow: we had a few exciting announcements, such as the Nexus 7, Android 4.1 Jelly Bean and Google now (all of which rock, by the way), but now we're just beginning to hit the cusp of an entire shift in mobile technology. Brandon suggested a post that celebrates the industry, one that covers all the amazing technology that's about to hit store shelves, land on holiday buyer's guides and more. In celebration, I figured it would be most fun to recap everything that's going on right now. Where to start? I guess the iPhone 5 is the biggest announcement the general public is waiting for. Tomorrow, the world will turn its eyes to Apple to see the phone that the firm has been working on for the past year. There's no hiding Apple's success, and it has plenty of fans that will no doubt wait in line for hours for the iPhone 5. It will feature a new design and will run the company's latest iOS 6 software. Then, of course, there are the expectations that Apple will launch an iPad mini with a 7.85-inch display in October. If announced, it will also run iOS 6, will have the newer 9-pin dock connector and basically offer most of what the iPad is capable of, but in a smaller shell. Apple's exciting to watch, but there's so much more going on right now. Amazon just introduced its brand new Kindle family, which includes the 8.9-inch Kindle Fire HD and a new 7-inch model. That's not to mention its new eReaders, which are also amazing in their own right. Amazon's going to continue to accelerate the budget tablet market while taking on the iPad with its more expensive Kindle Fire HD with LTE. The device offers something that Apple's iPad doesn't: immediate, quick and clean access to all of Amazon's media services. We can't wait to check the new tablets out when review units are seeded in the coming weeks. Last week was also exciting because we saw the first glimpse of Windows Phone 8 hardware. Samsung quietly introduced its first Windows Phone 8 device during IFA, but it wasn't on display. Nokia took the stage with Microsoft on Wednesday of last week and unveiled the Lumia 820 and 920. Both devices will be among the first to hit the market, hopefully with HTC and Samsung's new phones, and will introduce a new era of Windows Phone. We'll have a brand new start screen, NFC support, sharper displays and a whole breed of fresh hardware to play with. Speaking of Windows Phone 8, reports today suggested that the software isn't finished yet but that a final build could ship to manufacturers this week. That means we could see the newest bunch of smartphones land around November. If Nokia is providing any hint, we're guessing there's going to be a lot of colorful hardware involved this time around. Finally, after years and years of black and white handsets, we'll be able to buy a red or yellow device. And we hope Nokia and other manufacturers have other hues in store for us. Windows Phone 8 is going to stand out on store shelves; that much is clear. And we can't forget about Microsoft's other baby, Windows 8. During IFA we saw plenty of tablets from Lenovo, Samsung and HP running Microsoft's brand new operating system. They range from MacBook Air look-alikes to tablets and full desktop computers. I'm currently running the consumer release build of Windows 8 and I love it so far. I hardly ever use Metro UI (yes, I'm still calling it that), and I find that the experience is actually pretty similar to Windows 7 but with a few enhancements. The best, of course, is support for touchscreens. That brings me to Microsoft's own hardware, the Surface tablets. Windows Surface and Surface RT tablets will launch on Oct. 26, when Windows 8 is released. The Windows RT powered surface runs on an ARM processor, which means it won't support x86 applications, but it's likely going to come in at a much more affordable price than the full Windows 8 Surface tablets. The full-blown Windows 8 tablet will likely be super powerful, too. I was blown away by the Lenovo ThinkPad Tablet 2 during IFA. You can hook up a full display, a keyboard and a mouse and work as if you were using a desktop computer. Then, you can pack the tablet in your bag and continue working using the touchscreen. It's amazing, and I can't wait to use one as a full time computer in the near future. (Or play Starcraft II on one). Stepping back to Android, Motorola and Verizon just unleashed three new smartphones, the DROID RAZR MAXX HD, the DROID RAZR HD and the DROID RAZR M. I haven't had much time with the RAZR MAXX HD or the RAZR HD just yet, but I do have a review unit of the DROID RAZR M. It costs just $99 and offers an incredibly expansive display while maintaining a palm-friendly form factor and support for Verizon's 4G LTE data network. I'm still using it as my secondary device; I rarely use a $99 phone as often as I have RAZR M.
And yet there's still more to come. Samsung's Galaxy Note II is right on the horizon, and we can likely expect a quad-core processor and a launch on most of the U.S. wireless carriers, if the company chooses to follow in the same footsteps it did when it launched the Galaxy S III here. It's basically a larger Galaxy S III, with a huge and brilliant 5.5-inch display. 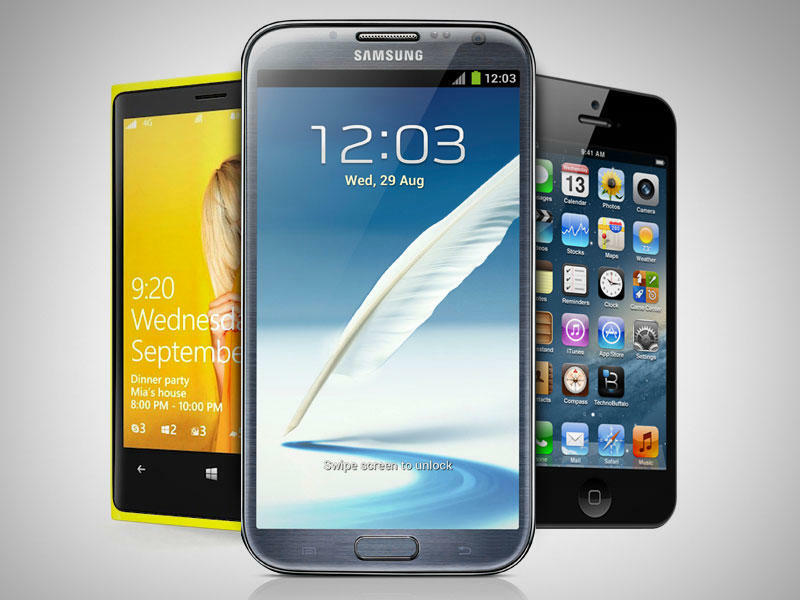 It offers everything the Galaxy S III does plus more, such as the company's S Pen, note taking applications and much more. It has rounded edges, unlike the original Galaxy Note, so it doesn't feel as big or bulky as before. It's nuts. There's so much to write about and to look forward to right now. We hope you're enjoying the ride as much as we are; look around and enjoy the landscape with us for the next few months.